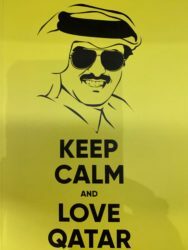 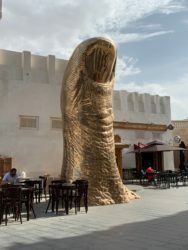 Qatar has become one of the great countries in the world for art. 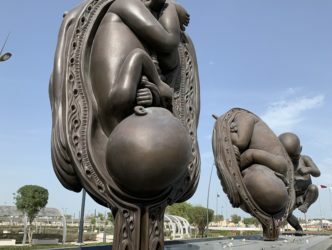 The capital, Doha, is marked from the airport to the desert by an extremely ambitious public art program, with a series of sculptures on pregnancy by Damien Hirst, via Richard Serra’s corten steel “towers”, through to a canopy conceived by Olafur Eliasson due to be unveiled in about two years’ time… Add to that the fact that between 2007 and 2012 the country was linked to rumors of massive purchases of artworks. 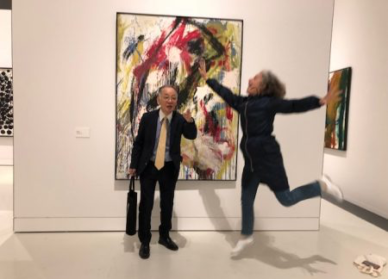 People talk about acquisitions at auction and through private transactions like that of a painting by Paul Cézanne for 250 million dollars, among others, without the name of the owner or the amount being confirmed. 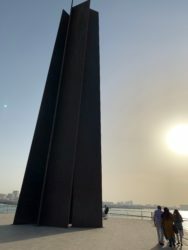 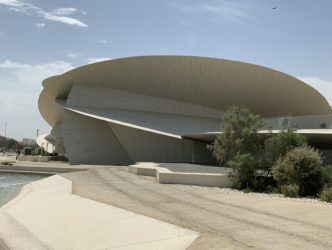 Lastly there’s Qatar’s museums embodied by their president Sheikha Al-Mayassa bint Hamad Al-Thani, the sister of the current emir, which have staged exhibitions of exceptional quality, such as the shows dedicated to Chinese star Cai Guo Qiang or the cutting-edge Belgian figurative painter Luc Tuymans. 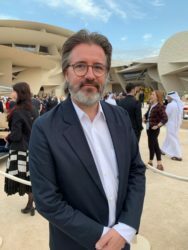 As a result everyone was impatiently awaiting the opening of their new museum, the National Museum of Qatar, in the hope that there would be art on show, and lots of it. 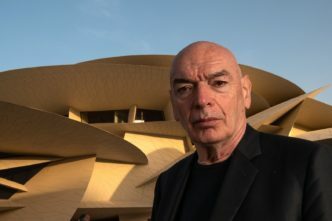 Jean Nouvel (born in 1945), the French architect and Pritzker Prize laureate who designed the new Qatari building and national emblem, quite rightly reminds us that “architecture is art. 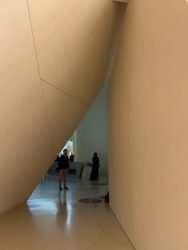 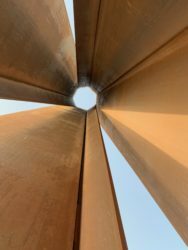 This is all too often forgotten.” And indeed the main work of art at this new institution is its architectural setting. 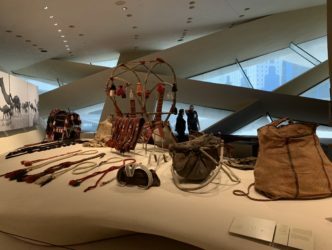 As for the interior, also designed by Jean Nouvel, it is dedicated to the history of this country, which made a living from pearl diving in a nomadic and modest context before the discovery of oil and gas made it extremely rich. 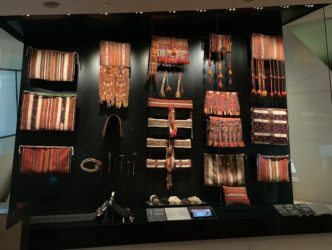 The layout of the 11 gallery rooms addresses nature, customs, and the surroundings as shown through architecture, anthropology, and ethnography. 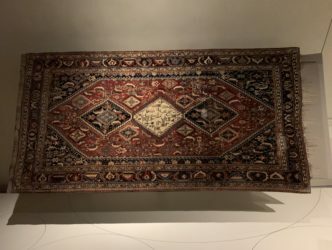 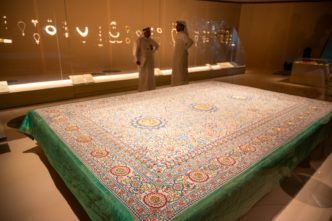 The most spectacular piece is a carpet known as the carpet of Baroda that is completely covered in pearls and precious stones bought in 2009 at Sotheby’s for 5,4 million dollars. 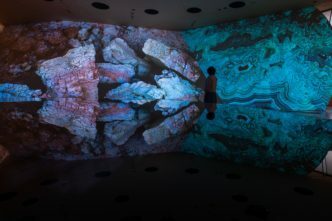 But what makes it stand out from other museums of this ilk is the use of immersive films created by major talents. 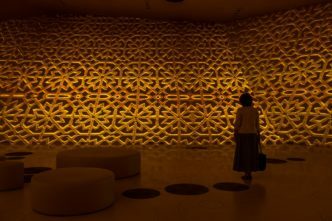 In the room dedicated to oil, the American artist Doug Aitken has designed a series of images relating to oil extraction interspersed with particularly captivating decorative motifs from classical Islam. 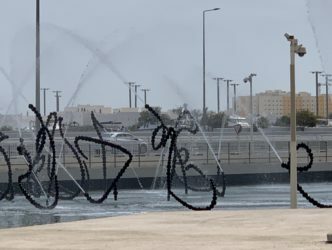 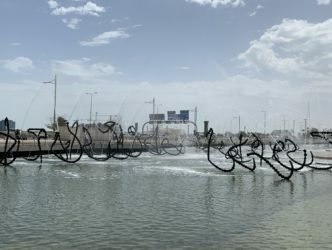 These are projected onto all the curved walls with twisted dimensions, as are the two films by Abderrahmane Sissako (creator of Timbuktu, which won the César award for best film in 2014) on traditional life in Qatar. 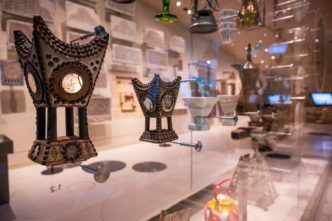 One large room is devoted to temporary exhibitions. 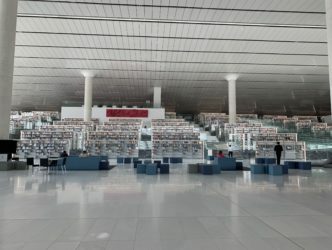 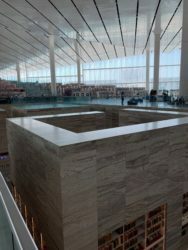 It’s hosting a show by another architect and recipient of the Pritzker Prize, Rem Koolhaas, who has also created an exceptional national library in Doha which was just recently inaugurated. 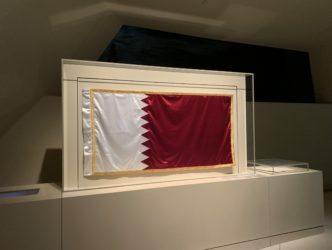 Baptized “Making Doha”, the exhibition is not of great interest. 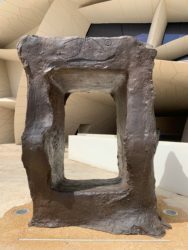 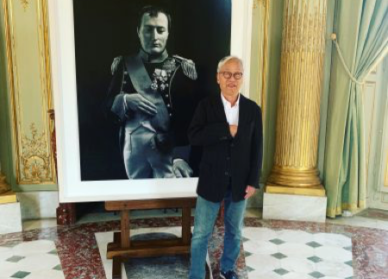 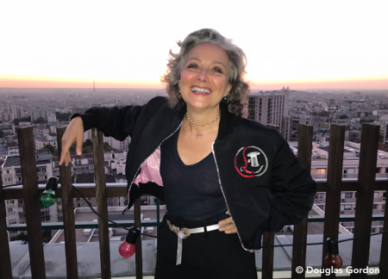 In October 2020 the same space is due to receive an art exhibition dedicated to the Parisian avant-garde of the early twentieth century whose curation will be handled by Catherine Grenier, also the director of the Fondation Giacometti in Paris. 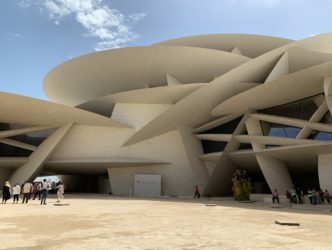 There are many museums in the pipeline in Doha, including a sports museum, a children’s museum, a museum of orientalism – due to be designed by Herzog and de Meuron – and last but not least a museum of Western art. 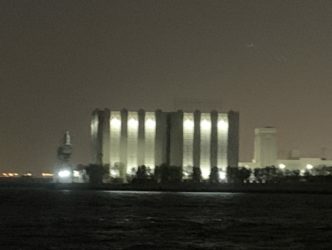 The latter will most likely occupy the site of the now abandoned flour silos located just opposite the remarkable museum of Islamic Art by I. M. Pei. 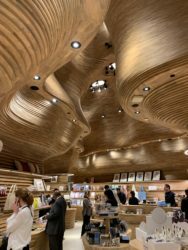 There’s another Pritzker Prize laureate who may be overseeing the project, the Chilean architect Alejandro Aravena. 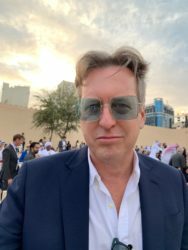 But nothing has yet been announced.